Four major global and national challenges – clean energy, food wastage, competition for arable land, and energy security – are being addressed by a new solar-driven liquid-fuel production method set to power aircraft and agricultural vehicles. On the road, the electric car’s time appears nigh. Advances in battery technology are significantly extending the range of these low-emissions vehicles. Manufacturers are developing more, and more affordable, models to choose from. Energy retailers are even starting to offer pricing incentives for at-home vehicle recharging. In the air and on the land, however, it’s a different story. Due mostly to the one-hundred-fold greater energy density of fuels relative to batteries, it’s widely believed aircraft and agricultural vehicles will remain dependent on the internal combustion engine for many years, if not decades, to come. But this doesn’t mean there aren’t still great strides being taken in these arenas towards cleaner operation. 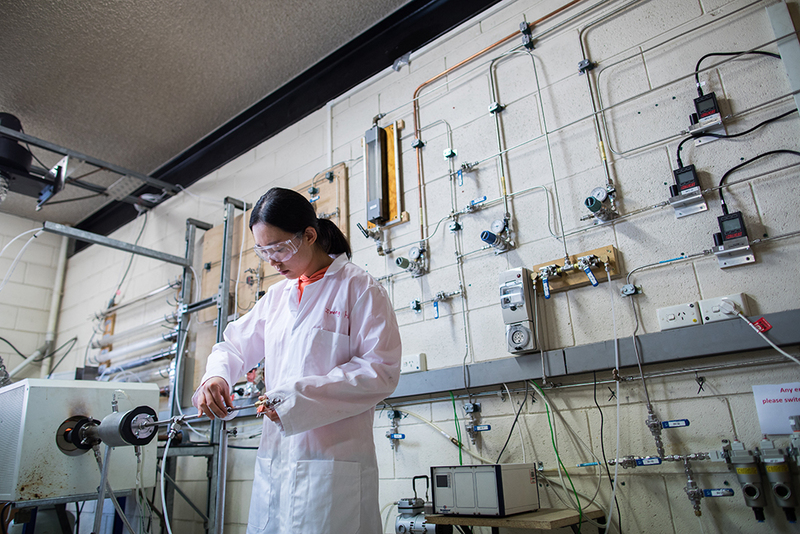 Around the world, significant resources are being invested in developing alternative liquid fuels that generate lower CO2 emissions, both in production and use; and one of the most promising—for multiple reasons—is emerging from the University of Adelaide. The University’s Centre for Energy Technology is developing a liquid fuel entirely from food waste, together with an exclusively solar-powered production process. Critically, it will look, smell and perform identically to standard fuels, enabling instant market entry, possibly in as little as five years, with no vehicle modifications required. According to lead researcher Professor Gus Nathan, it’s an opportunity to hit not just two birds with one stone, but four. “The project is obviously helping to reduce carbon emissions,” he says, “but that’s only one key benefit. “It’s also finding a viable use for the enormous amount of food waste generated globally, which is estimated at around 1.3 billion tons per year, and about 4 million tonnes in Australia alone. “Thirdly, by using that waste—we can even use non-consumable components like olive husks—rather than growing crops specifically for biofuel production, we’re reducing competition for arable land, which the world desperately needs to produce food for our growing population. Professor Nathan’s team is working on using solar energy to power a chemical process known as gasification. This process converts the food waste into a pure form of synthesis gas, or “syngas”, which can subsequently be converted into a liquid fuel. The fuel is currently predicted to retail at around $1 per litre. This entry was posted in Energy & Resources, Engineering, Environment, Impact stories. Bookmark the permalink.